I came across this wonderful piece by Linda Gottlieb while browsing the internet. 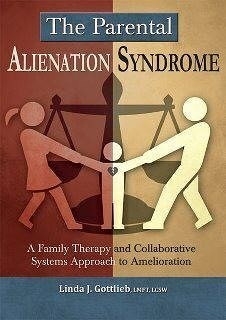 I was so touched by it because I know a few of my own friends who are still living through this period of parental alienation. They long for the day that they will be able to do something as simple as help their children with homework. I’m sure there are many other parental alienation success stories and I will keep looking for them so that we can share them with you. So, Daddy, on your 92nd birthday, let us celebrate it by my telling all my Facebook friends how we reconnected. I came to live with you in the Bronx after graduating Teaneck high School, New Jersey, in order to attend college at CCNY, which required New York City residency and was the only college plan available to me. I moved in with you feeling great anxiety because I had been brainwashed to hate you. I can remember that feeling as if it were yesterday. But I also remember that the hatred evaporated virtually overnight when you enveloped me with your love, your passion, your commitment, and your support. Because of the PAS, my concentration and focus had unquestionably been compromised on my studies throughout middle school and high school. As a result, my cognitive (and emotional) abilities were underdeveloped. Quite frankly, I do not know how I had been accepted into CCNY. But, Daddy, you quickly compensated for those deficits. You became my freshman tutor, and I believe we negotiated my freshman coursework together! You inspired me, encouraged me, tweaked some of my work here and there, and refused to accept my insecurities. What I particularly remember, as if it had also occurred yesterday, was my freshman English 101 class: for the first assignment, I had to write a composition about what I hoped to gain from the class. I did not have the foggiest idea what those concepts meant! But in your infinite wisdom, Daddy, you recognized that it was imperative to teach me the meanings as you were sure my professor would question me about it. And that is exactly what happened: he returned the composition stating that he had had a good chuckle upon reading it, and then stated that the class deserved to appreciate and chuckle about the composition as well. He directed me to read the paper allowed to my classmates and then explain the meaning of the closing sentence. I would trade a year off my life for just one more composition to write together. I love you more today than yesterday. Happy Birthday, your appreciative daughter, Linda.